Ok, mamas! It's crunch time. Only a few day left until Christmas and we know you are rushing around and trying to finish last minute tasks before Christmas arrives. If you are anything like us, you probably have tons of receipts, random coupons, and lots of other things stuffed into your bags. We thought today we'd take a peek into our bags and share some of what we carry on a daily basis. And don't forget to read to the bottom of this post for details on a super fun and super amazing giveaway, but first, let's take a look at all of stuff!!! This past weekend, I was at Cute's Tae Kwon Do belt test - which I learned was an all day affair - and a few of the moms joked that I was like Mary Poppins. I kept pulling one thing after another out of my bag to make sure I kept the girls entertained, while their brother and his classmates did their tests. With three kids five and under, I've learned you must carry every single thing you own at all times. Ok, well maybe not everything, but it feels like it. With that said, I like a BIG bag. 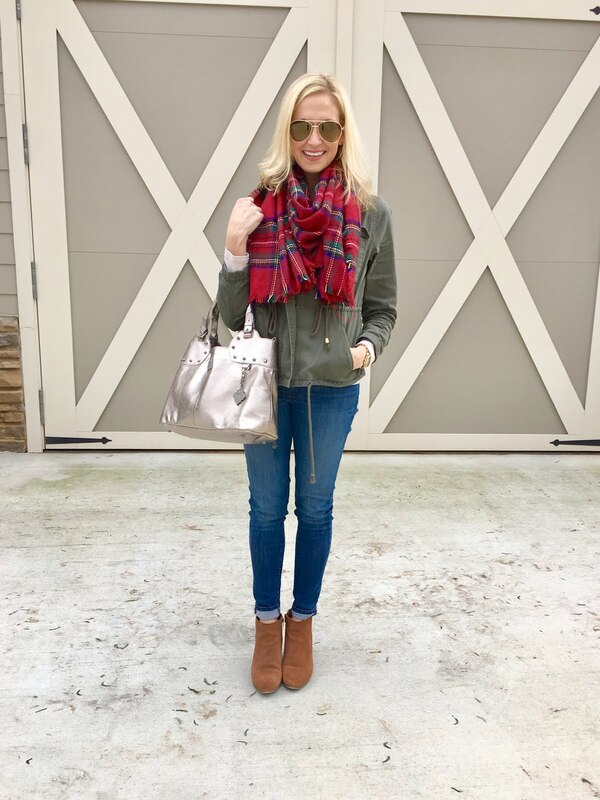 I have a huge diaper bag that I love, but sometimes it's not conducive to every situation - especially when I only have one child with me for part of the day and I want something a little smaller. Totes are my absolute favorite bags to carry. 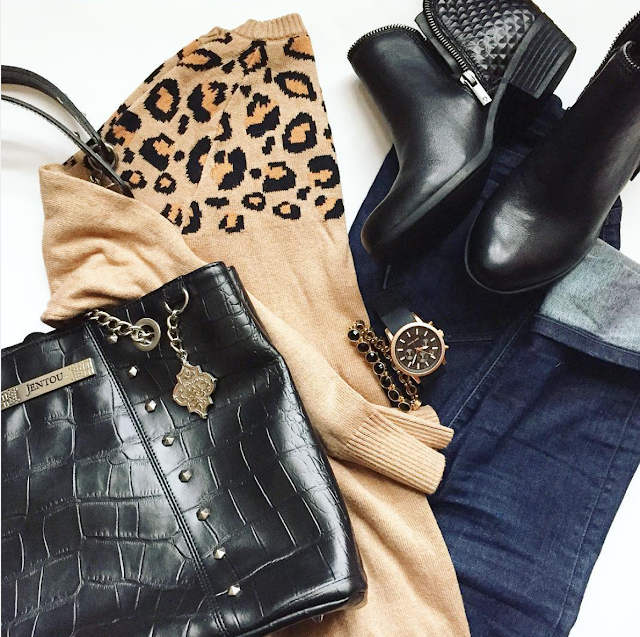 This black crocodile leather tote has been rocking my world lately. Now for the fun part - let's take a little peek inside my bag! Sunglasses - First and foremost - sunglasses! I never leave home with out these. It doesn't matter the season or if it's rainy. I will have my sunglasses with me at all times. I have a few pairs, but I've been rocking this pair lately. Diapers & Wipes - Whew, at least we started off with an easy one. I've professed my love for WaterWipes a time or two on the blog before. 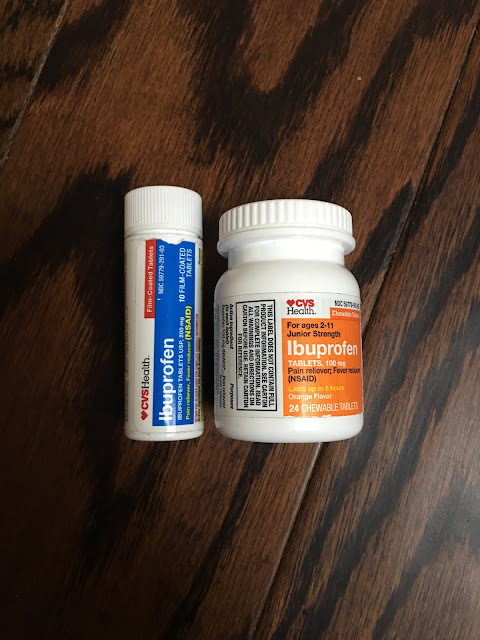 They really are my favorite and have been so helpful lately since we can't seem to break the endless cold cycle we seem to be in, and I'm wiping noses, faces, and arms (yuck!!!) all day long. As for diapers, lately I have a nice variety of sizes and brands in my bag. Usually I am a Pampers fan, but I've been test running the Target Up & Up ones. Lotions - A must in my bag at all times - especially in Winter! Aquaphor and BabyTime seem to be my favorites right now. With Baby Cute and her eczema, I've learned not to mess around and get a good lotion and have it on hand where ever I go, and I love the feel of the BabyTime Soothing Cream on her skin. Lip Gloss for Everybody - Always a must have in my bag. You will find no shortage of lip things in my bag. For me...for the kids...we love our lips in this house. 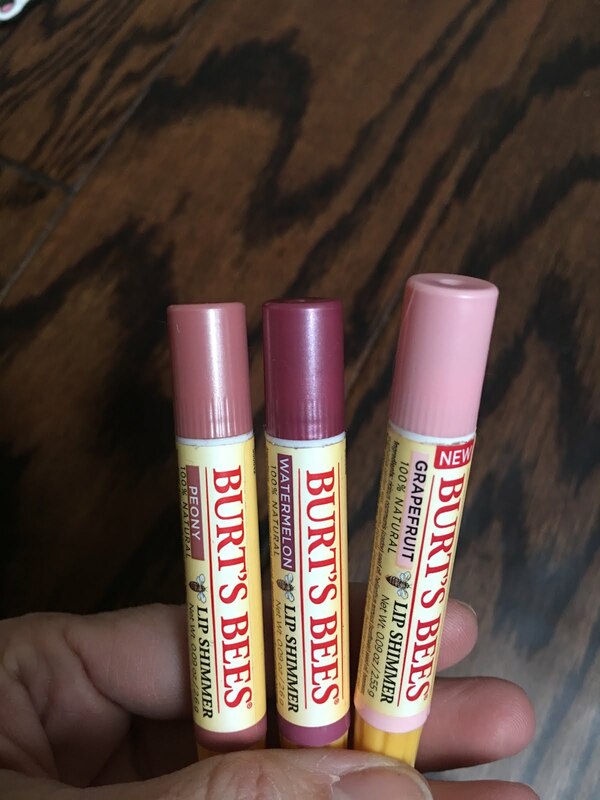 Currently hanging out in my bag are my favorite lip glosses, one of my favorite moisturizers, and a princess chapstick or two - in my attempts to divert L.C. from using my glosses. Girl can go through a tube in the blink of an eye! Toys - Matchbox cars, action figures, and a Star Wars thing (I think ?) because, well...boy mom. Snacks - I mean is this even a surprise? Snacks is the only way I survive my day. 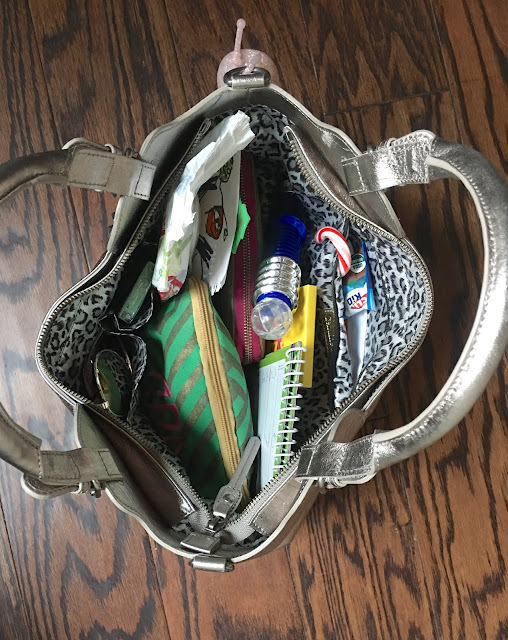 I usually carry a variety of snacks, but puffs, bars, and pouches will always make their way into my bag. I've had a longtime love affair with pouches, and all three Cutes are now addicted to these yummy Slammers. I feel so sneaky using them because my kids think they are a "treat" when in reality I am sneaking in a bunch of healthy organic goodness into their little bodies. I am pretty sure if I showed them a real Butternut Squash and asked them to eat it they would gag and pass out. So thank you Slammers and the wicked awesome inventor of all things pouch - I love you! Hairbows - Hairbows because girl mom. Maybe I should clean these out a bit? But you never know when you a good hair bow. Especially a monogrammed one. 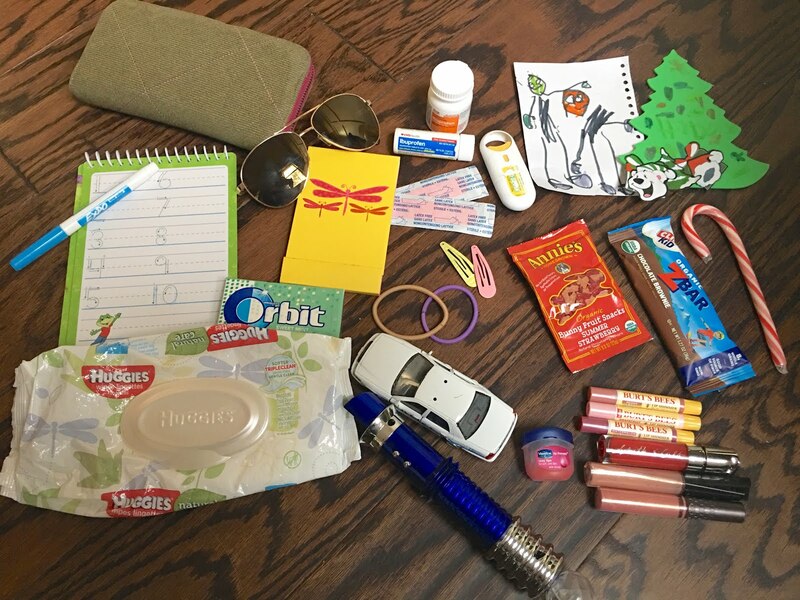 Care Kit - Okay so I am a stickler for having these stashed in my bags or in my car. 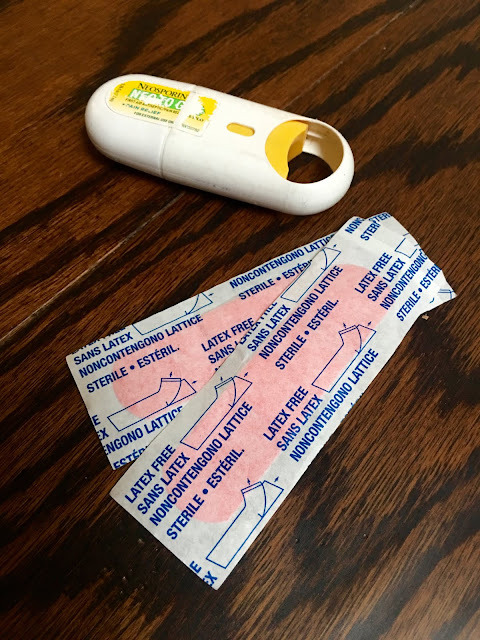 It carries anything from bandaids & antibacterial cream, nail clippers, deodorant, thermometers - basically any tiny sort of care I might need throughout my day. There have been too many scraped knees that have caught me off guard, and sleepy mornings that I couldn't remember if I put on deodorant for me to learn that having a care kit on hand is more than useful. iPad - The iPad, I have mixed feelings on this, but I've adopted a never leave home without it policy. I keep a few fun apps and movies for the kids, Cute's homework and school apps, and my Kindle app on hand because you just never know when you might need it. Notepad & Pen - Because I'm old school. If I don't write things down I lose my mind (more so than it is already lost). And there you have it...the inside of my bag. 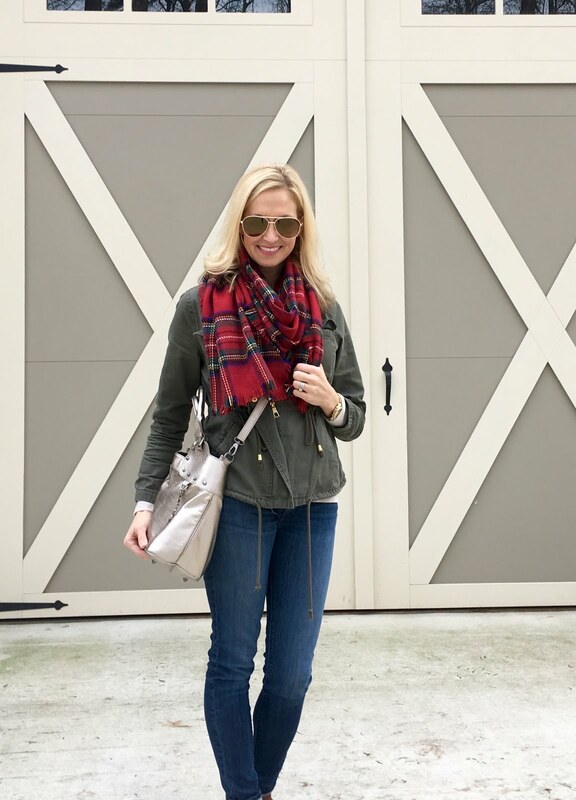 Although I am past the diaper bag phase of life, I still have three kids that want and need a lot of stuff so I haven't found a way to get rid of a bigger bag. It's not huge, by any means, but I still require a bag with lots of organization, pockets, and space for all sorts of things. My favorite bag these days is the super cute Metallic Nikki Satchel. I talked about it a little bit HERE and I'm still really impressed with the quality and functionality of this bag. I also love that it has a cross-body strap so that I can have my hands free at times. Now let's look inside my bag! In full disclosure, I took out the crumpled up receipts before I took this pic, but other than that this is my bag as it was. Sanitizer - On the side of my bag I have my favorite Bath and Body Works hand sanitizer. 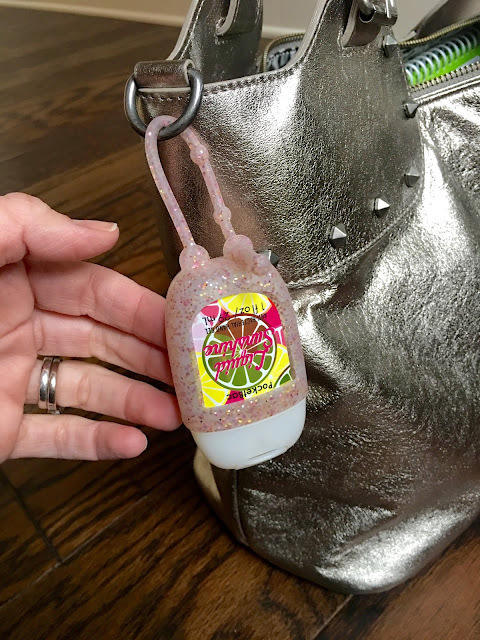 I love their handy little holders and my kids and I are constantly using this sanitizer. After I pump gas, after they play at the Chick-fil-a playground, etc. Notepad and Pen - I always have a notepad and a pen. Like Jen I am a list maker and have to write things down or I don't remember anything! Plus it is handy when one of the kids wants to write or draw. Cosmetic Bag and goodies - I have small cosmetic bag that I keep in my purse filled with all kinds of things like my favorite lip colors, medicines, band-aides, hair stuff, etc. You never know when someone might have a scrapped knee, want a ponytail or need a little lip gloss. 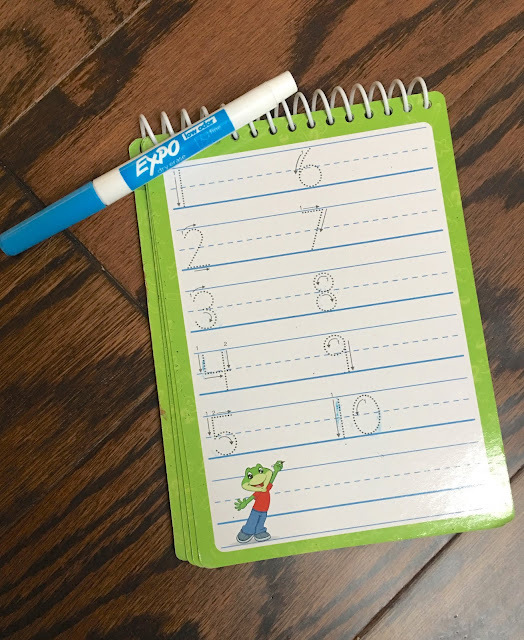 Dry Erase Writing Practice - Boo-Boo loves practicing his handwriting skills using these dry erase activity books so I usually keep one in my purse so that when we are waiting somewhere or even in the car, he can work on them and stay entertained. 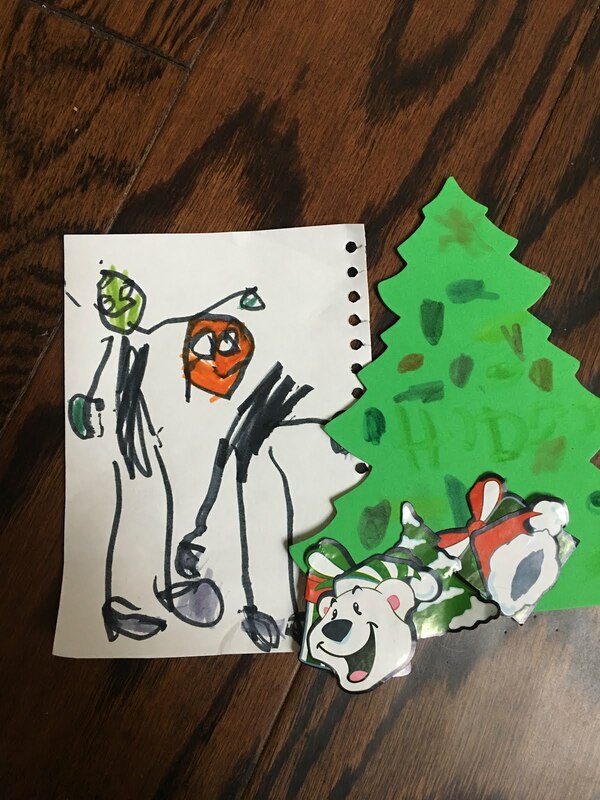 Crafts and Pictures - My kids love to craft and color so it is pretty common for me to have something they drew for me or made in my bag. 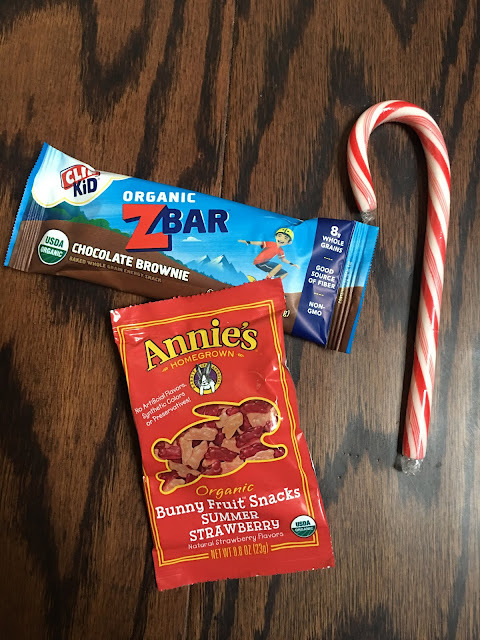 Snacks and Candy Bribes - Snacks because shortly after my children started eating solid foods I learned that you don't leave home to go anywhere without snacks and candy because I'm not above bribing them to run one more errand or behave during their sister's tumbling class. You never know when a lollipop or candy cane is going to come in handy. Toys - The girls are pretty much beyond the stage of me needing to carry something to entertain them, but Boo-Boo on the other hand loves having some sort of toy, ball or means of entertainment in my bag. 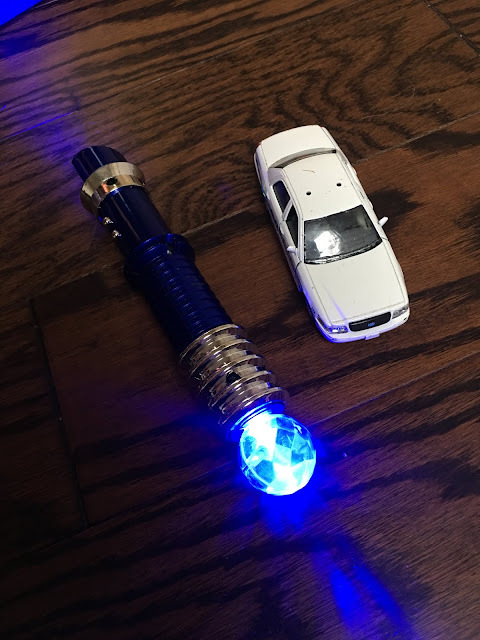 This week it has been a small car and a broken light-up sword that he has now transformed into a light saber. The sword part broke off, but the light still works, so it is still bringing tons of joy to him! Pretty random, but hey, that is #momlife. That is my bag and that brings us to our giveaway because we know that all you moms out there have a random assortment of stuff in your bags and we want to see what it is! We know this is a crazy busy time for everyone, especially moms so we think you deserve a gift! 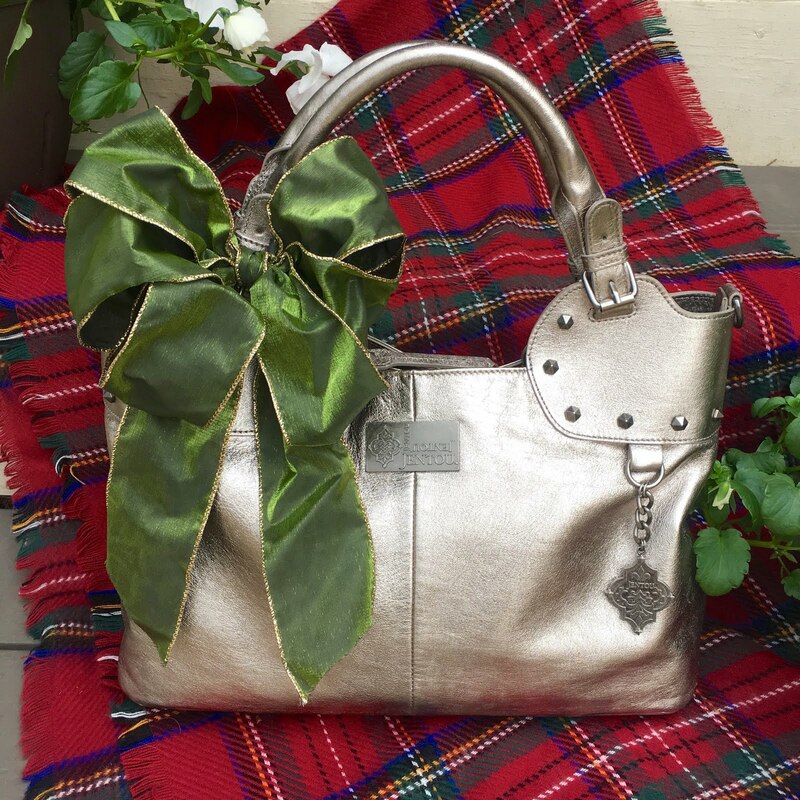 A metallic satchel to be more specific! It retails for $178 and it can be yours for free!!! Ladies, I really do love this bag. You can love it, too, at 30% off (use code MAGNOLIAMAMASHOLIDAY) or you can love it even more if you win one for free! We are teaming up with our friends at Jentou to give away one of their best sellers for free to one of our Instagram followers! We want to know what is in your bag? 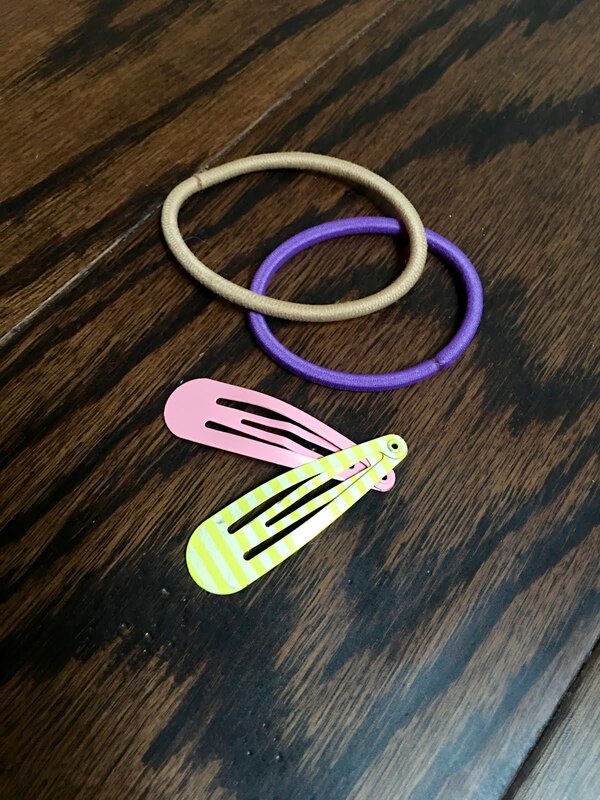 Do you have random things in there from your kids? Does your husband ask you to hold their stuff when you are out and about? 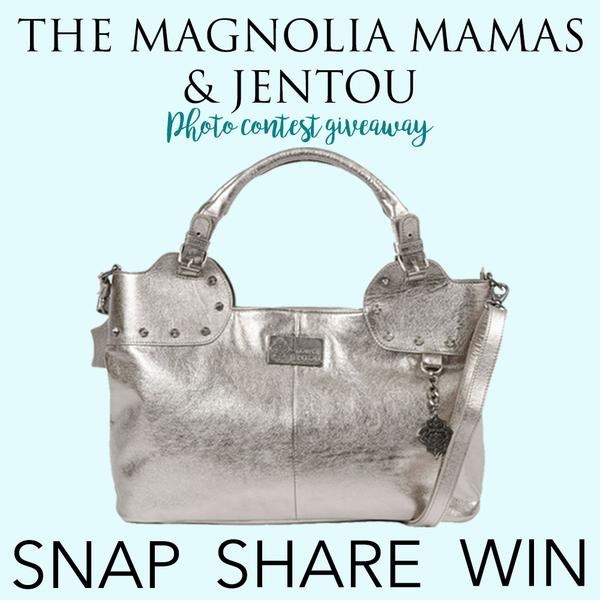 Snap a picture and share it with us on Instagram using the hashtag #jentouxmamas for a chance to win! Get creative and have fun with it. We know all the moms out there will be able to relate! Head on over to Instagram to see details on the post and go ahead and enter! Contest ends just before midnight on December 26th so be quick and enter right away! You can see all the rules and details of the giveaway HERE. Love looking inside your bags! 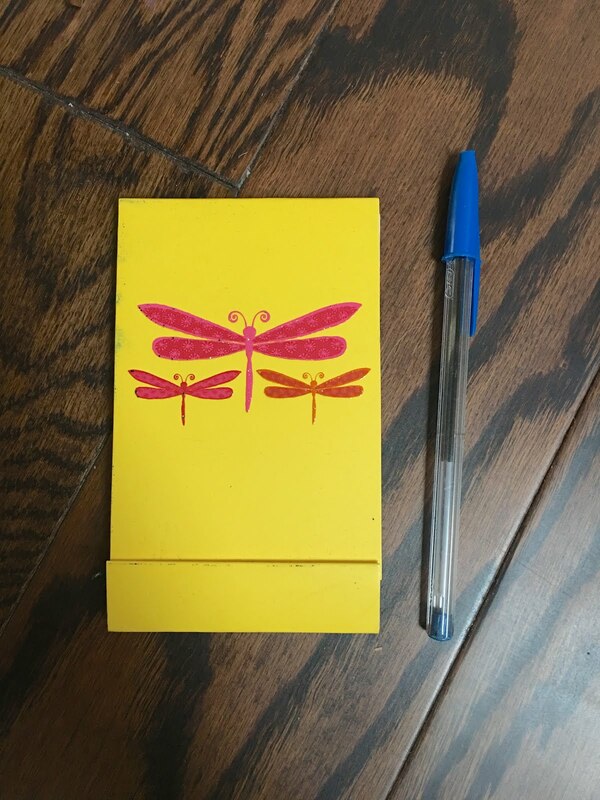 I recently added a notebook and pen. Old school but oh, so necessary! That bag is adorable!! You can fit so much in it! I haven't heard of those water wipes...they look interesting.